In the last few weeks, there have been some good stories about David Walters, a distance runner from Illinois. At age 60, Dave ran 2:45 in the Chicago Marathon, then went out to New York this past weekend and polished off a 2:47. Those are both really great performances for a man of 60 because running does not get easier as you get older. To run sub 7:00 pace for the marathon distance is indeed an accomplishment. In one of the articles, Walters mentions the effort it takes these days to run intervals at 6:00 pace. He speaks of throwing up from the struggle of keeping that pace. This past summer I did some intervals at 6:00 pace. But only 400-meter intervals. It is a serious question whether running that pace for the full mile is possible. I did run a 6:00 mile in practice earlier this summer, but it was tough. And I raced a few 6:30 miles in the past couple years, but a 5K at that pace would be a challenge. He was a two-time Illinois state cross country champion, running close to 14;00 as I recall. I think we ventured down as a team to watch those state meets. It was so tough to qualify through the York section I never made it downstate, missing by one or two places my senior year. But we always traveled to Peoria as a means of educating and inspiring ourselves to run faster. I visited Peoria the year Craig Virgin set the still-standing state cross country course record at 13:50 or so. Watching that race was a daunting moment in my life, as was watching the likes of Walters, and later Ron Craker of York, all who ran 14:00 or lower for three miles. These guys knew how to hammer. Their training and talent was so obviously superior to mine it was unimaginable to go that fast. At that age at least. Later on a track at midnight in an All-Comers meet at North Central College, I’d run a 14:45 5k and finish 14th amongst all those fast runners. That mean I went through the three-mile point about 17 seconds earlier. Honestly, that’s about as fast as I could ever go. All levels of talent have their limits. As for Dave Walters, he went on to run for the University of Illinois. Running Big 10 level track and cross country is a tough gig. The training alone can kill you. A friend named Evan Clarrissimeaux who ran for my alma mater in St. Charles, Illinois, walked on at the University of Iowa and dropped his mile time to 4:07. That’s no small feat. Another friend named Doug Jones ran 14:28 for three miles in high school and competed for Illinois State University. He’s continued his running all these years and only recently has it become difficult for him to break three hours in the marathon. Runners like Walters and Jones somehow keep it going. But many guys that trained that hard in their 20s and 30s are too bent and beat up to continue running. I suppose I walked a line at some point. Retiring from true competitive running at 28 years old probably preserved a little tread on the tire. A little. It still hurts at times to go past eight miles in training. The hips start to creak. I can feel the fatigue start to build and realize that getting to the gym is critical to maintaining hip and hamstring strength to prevent that debilitating feel of going past my strength point. But it’s still working. Saturday’s 6-miler in the rain was a joy. Yesterday I laced up those crazy little Newton running shoes given to me by my friend Monte and clipped through three happy miles in unbelievable weather. I’m a bit fascinated and pleased with those shoes. I ran 8:00 miles for three miles because they feel so light and I run on my forefoot. So that’s an experiment that is likely to continue. My calves seem to be lengthening, and that’s a good thing. So I’ll admit to being a bit bent in some ways, but not broken. Last week while out birding I came upon a set of former wooden fenceposts in the Prairie Green property west of Geneva. The barbed wire now drops from their wooden frame and sulks along low and rusty through the grass. The posts no longer have a duty or purpose. Once they lined a property and perhaps kept some cattle in. But those days are 40 years now in the past. I believe we all have these “set points” at which time our purpose and philosophy essentially must change. 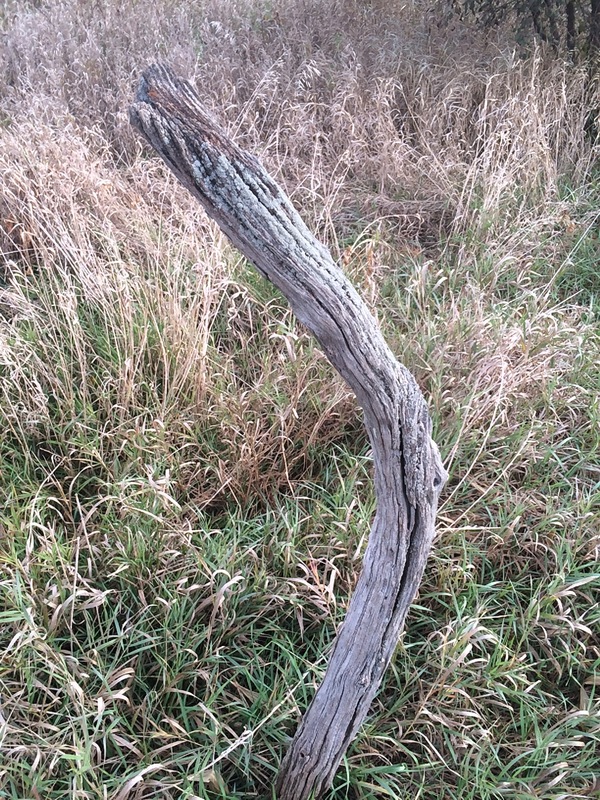 It does not mean we become like aging fenceposts in the fallow fields. But a triathlete I know is turning 40 and he freely admits that his “best times” are likely behind him. This is a guy who can still quite easily ride a solo century in five hours. He does so with some frequency. He has qualified for triathlon nationals and even international competitions. So he’s no slouch. Frankly it might be tougher for such an individual to admit that he’ll not keep up with himself going forward. The performance band stretches for a while, but ultimately it does pull back a little. Certainly there are inspiring examples like Dave Walters who defy age as long as possible. They can beat competitors much younger than them. 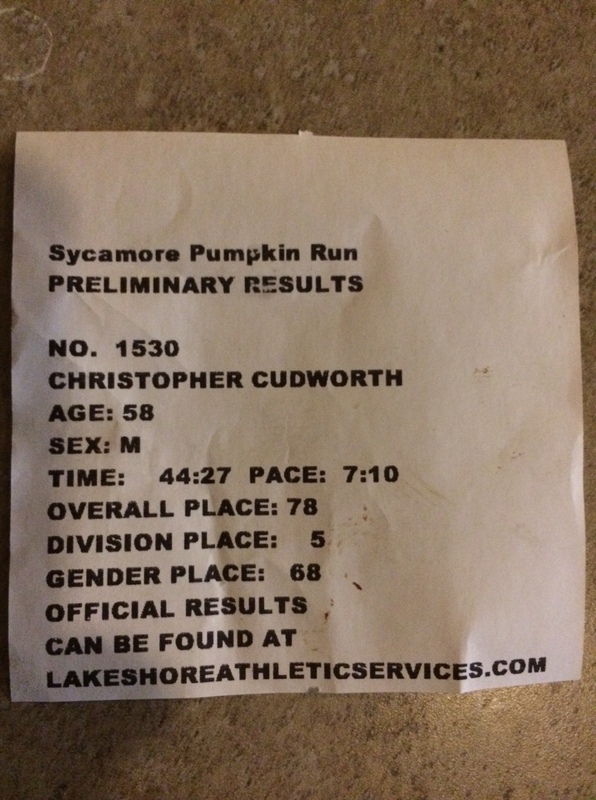 As for my humble aspirations, I ran faster at this year’s Sycamore 10K than last, finishing 78th overall. And despite my age, I’m still one of the fastest people at the summer track workouts, and that’s fun. But it does not make me anything special. You still have to spread that effort out over the full complement of a race. I may be faster in some ways, but not necessarily better. So for now, I’m simply grateful to be a bit bent but not broken. If that can keep me going for a long while, it is certainly a state I’ll be happy to maintain. The principles never change. You need to eat right. Train right. Sleep right. And recover at a rate that makes sense for your own body. I still love the feel of moving fast, but I’m also in sync with moving slow. Perhaps that’s the trick that one learns through all those years of training. It’s the movement that counts, not the rate, at least all the time. 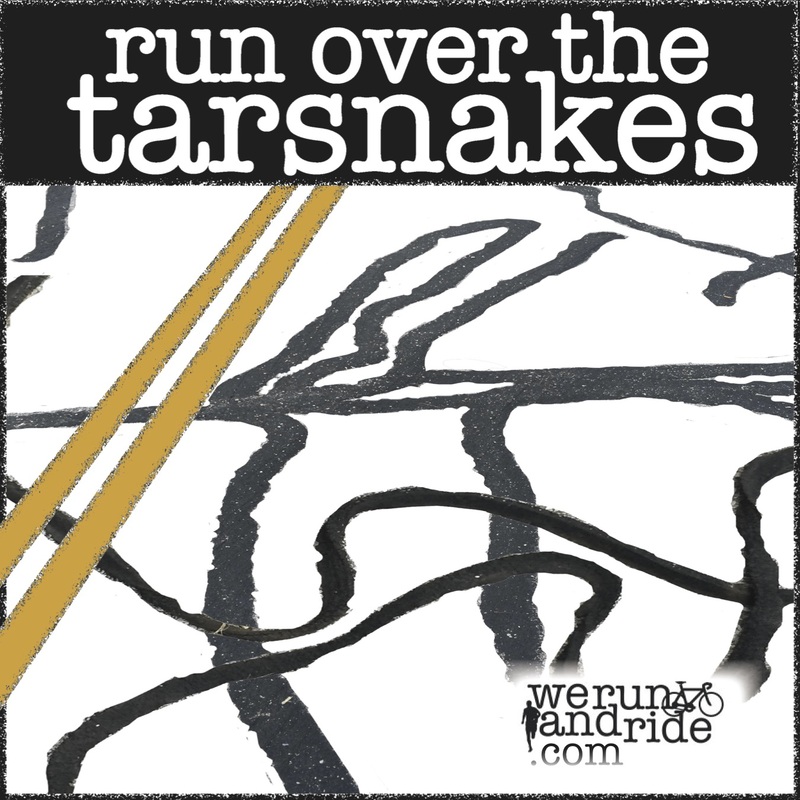 This entry was posted in Tarsnakes and tagged aging, Chicago marathon, Craig Virgin, dave walters, Illinois State Cross Country, newton running shoes, North Central College, running as you age, set points, tarsnakes. Bookmark the permalink. Chris: Thanks for spotting this article on Dave Walters, my old teammate/roommate at Illinois. We were following his progress in the marathon while spectating at the Big Ten X-C Champs in Chicago…. where Illinois men got 2nd as team for first time since 1989! What Dave is still doing is freakin’ amazing. He is a bit of a freak of nature, though. He was somewhat fragile in college… so I would never have predicted this back then…. but learned to manage his body well and it just kept going… has had only one surgery… which was on his foot, I believe….during this time. Is a survivor of being hit by a moped down in Miami….. just a couple years ago. He was running at the time and did sustain some injuries like broken collar bone, ribs, etc. But, recovered to resume what he is doing now. Walt is one of my heroes….. Yes, I saw the second article on the heels of the one you posted, Craig. It helps that he’s kept his weight down at racing levels all these years. When I think about the fact that I now weight 40 lbs more than I did back then it freaks me out that 1) I was so damned skinny then and 2) I’m now carrying around that extra poundage. But I’m happy where I am. Dave has that interesting capacity to train still. That’s the ticket. And by the way, I have done some homework on the cross country front about which I’ll contact you soon.